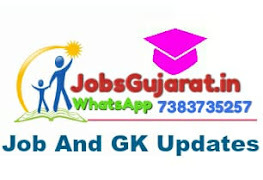 GCRI Ahmadabad (Gujarat Cancer and Research Institute) has published Employment News for Professors, Senior Residents, Scientific Officers and various other posts. All candidates are requested that before applying for this government job, all related to employment Please read the necessary information only after that. Educational Qualification - ITI (RFM) / Mechanical Engineering Diploma (RFM) / 12th + Diploma / Bachelor Degree / MBBS Degree / Post Graduate Degree / Diploma / Ph.D. Degree or its equivalent degree are also valid, but please check the published notices for this information for exact information.